You’ve made, and are actually following, a detailed budget. You’re carefully scouring the malls for the best deals while tracking prices on Amazon. And, you’ve agreed to set price limits on family gifts. But the holidays can still be an expensive time regardless—so we’re here with seven beyond-the-basics tips to save yourself some dough this season. Pretty much everyone has at least one skill that others around them covet. Maybe you’re a skilled handyman/woman or a great cook. Maybe you’re a professional photographer or hair stylist. Whatever your talent, you can probably make a gift out of it. You can employ your talents to craft a unique DIY present, or you can give someone a “coupon” they can redeem for your skills (for example, a family portrait, a haircut, or a catered dinner for two). You can also extend this idea to holiday parties, for example by bringing homemade cutout cookies as a hostess gift instead of an expensive bottle of wine. Holiday get-togethers and family traditions don’t have to be lavish or expensive. The season abounds with cheap or even free fun, like: free holiday concerts and parades in your community, a holiday cookie swap with the neighbors, a holiday movie party with friends, or a family sledding trip followed by some hot chocolate. 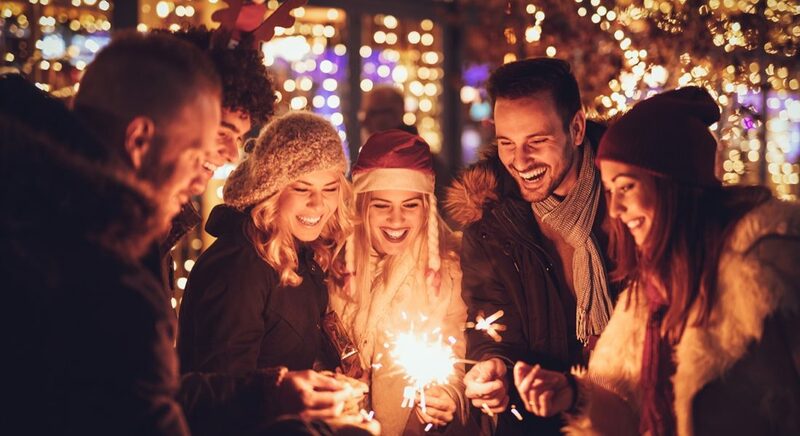 Check out this compilation of holiday events in Virginia’s Blue Ridge region for more ideas. Or, get your group together to volunteer in the community, whether by delivering meals or wrapping donated presents for kids—check out volunteermatch.org for a start. Making a charitable gift in a loved one’s name to one of their favorite causes is a lovely and refreshing gesture—and hey, it could possibly be tax deductible for you as well! Following a budget can be limiting at times—that’s the point. But it doesn’t mean you have to miss out on summer fun. Member One has a few tips to get you through the holiday season relatively unscathed. Start a seasonal side hustle. True, your holiday schedule is likely pretty packed, but if you can squeeze in a seasonal weekend or evening job over the next six weeks or so—for example, working at a Christmas tree farm, wrapping presents at a retail center, or pet-sitting for holiday travelers—there’s some extra money to be made this time of year. Try the four gift challenge for kids. Bonus tip: Get ready for next year! Before you roll your eyes and groan that it’s “too soon,” hear us out: the holidays will be back before you know it. (Just think about how fast this year flew by.) Start planning, and even saving, early in 2019 and come next December you’ll be very glad you did. To help you stay on track, consider opening a Christmas Club savings account with your local credit union. These allow you to deposit a set amount of money each month, to be withdrawn right in time for the start of holiday shopping season next year.